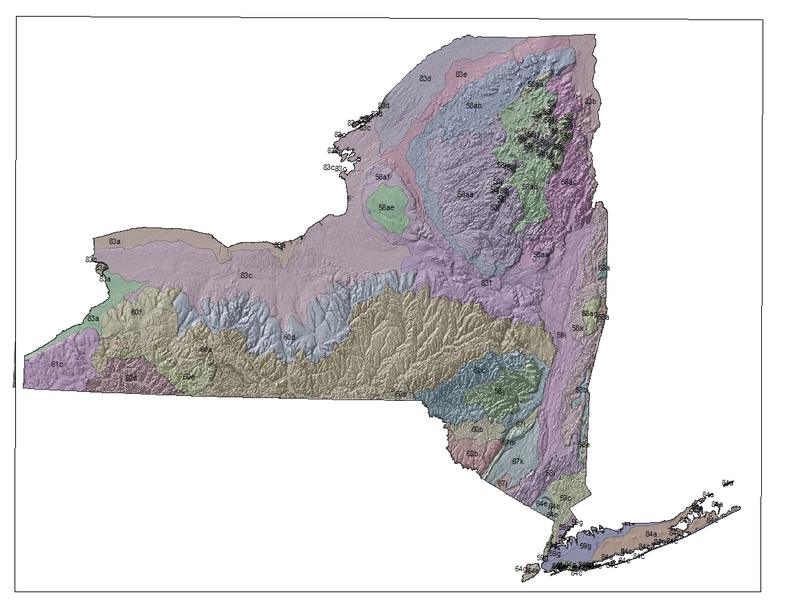 A new map of the ecoregions of New York is available to use with ArcMap GIS and will soon be available in print. This was a joint effort of the EPA, New York Natural Heritage Program, USGS, NYS DEC, and NRCS. 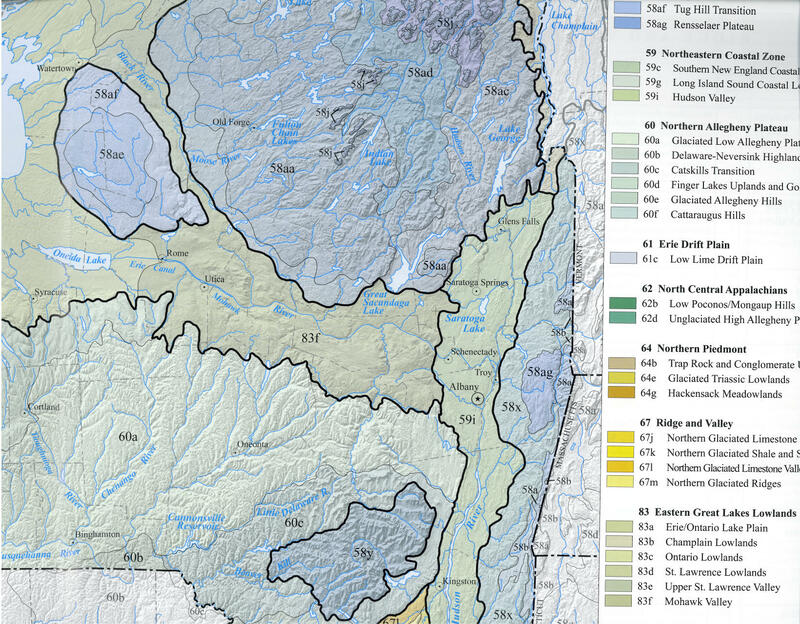 Two of the principal authors are Greg Edinger from the NY Natural Heritage Program and Doug Carlson from NYS DEC.
A portion of the printed map. This entry was posted on June 23, 2010 at 11:21 pm and is filed under Publications, Apps, and Websites. You can subscribe via RSS 2.0 feed to this post's comments. You can comment below, or link to this permanent URL from your own site.